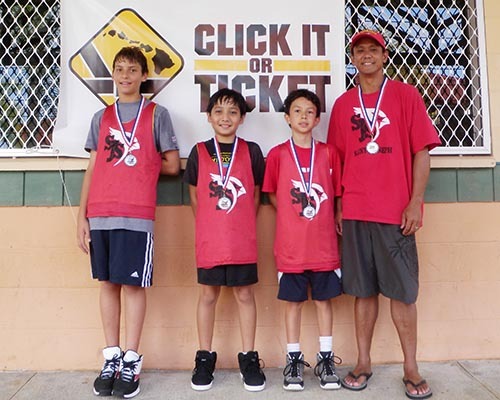 The Hawaiʻi Police Department’s Traffic Services Section and the Hawaiʻi Isle Police Activities League (HI-PAL) held two “Click It or Ticket” 3-on-3 basketball tournaments this month. 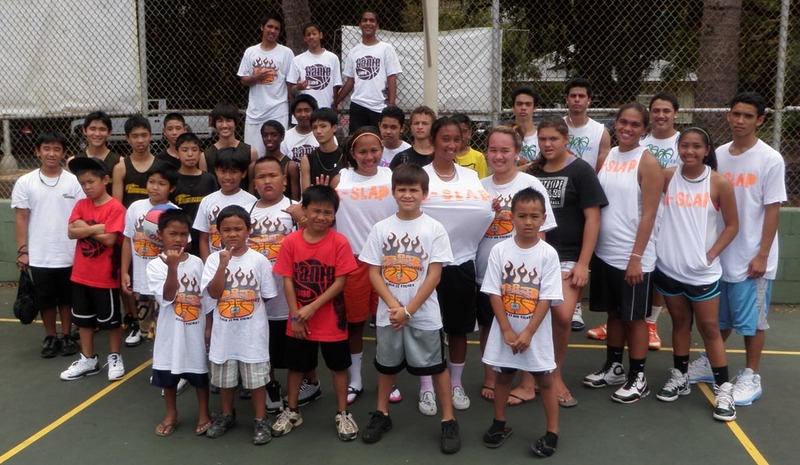 The first was held June 4-5 at the Keaʻau High School gymnasium. 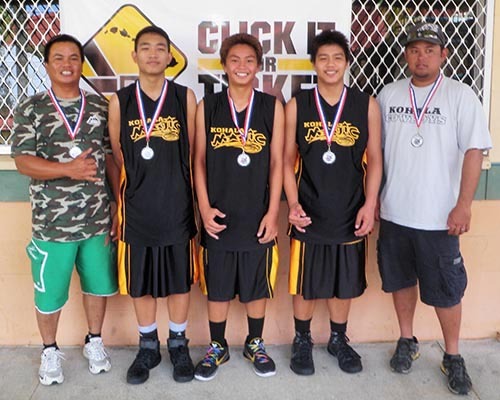 The second was held June 11 in Kaʻū in conjunction with the Kaʻū Family Fun Day festival. 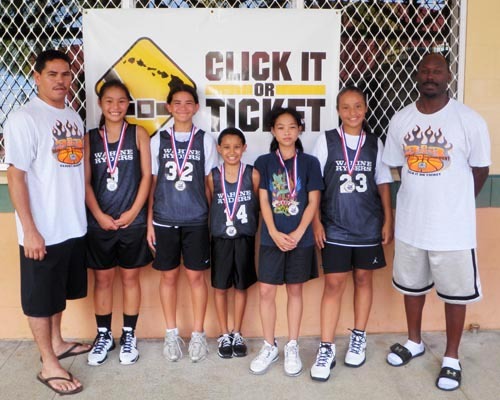 Forty-two teams, with 170 players, participated in 84 games in Keaʻau in the following age groups: 5-6, 7-8, 9-12, 13-14, girls 10 and under, girls 12 and under, girls 14 and under, and girls 15-17. 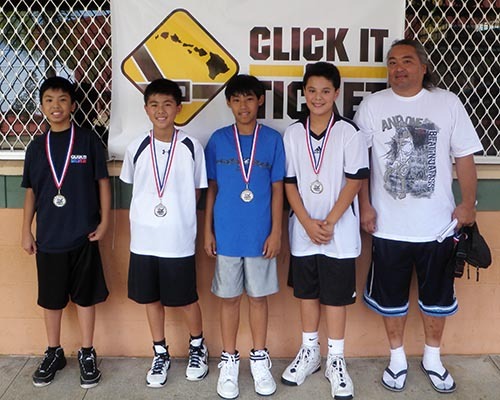 The Keaʻau award winners and Kaʻū participants are identified below. 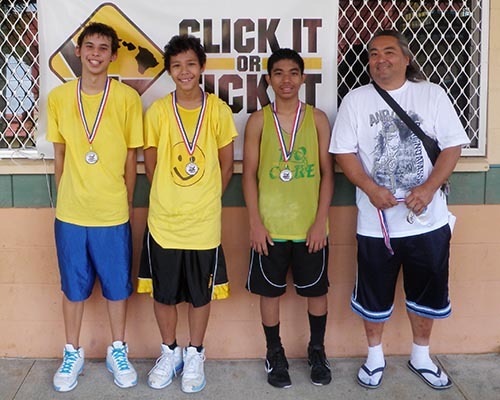 Additionally, the 1st Annual Big Island Summer Classic for high school athletes is scheduled for July 29-30 and July 1-2 at the UH-Hilo gymnasium. 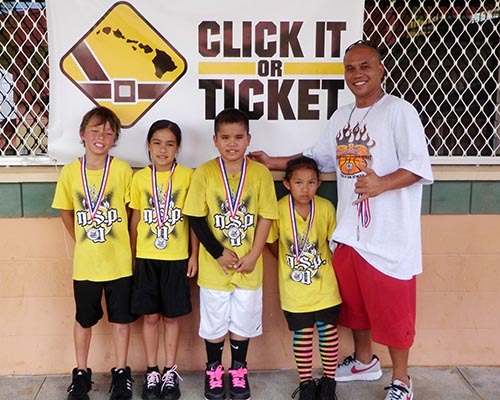 The HI-PAL Program would like to thank Iris McGuire, athletic director at Keaʻau High School, for her continued generosity in allowing for the use of the high school gym for these annual “Click It or Ticket” 3-on-3 basketball tournaments. 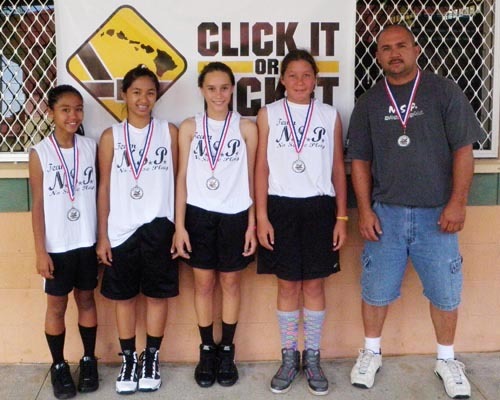 Her willingness to work hand-in-hand with the Hawaiʻi Police Department and the HI-PAL Program emphasizes her community involvement and commitment to our youths and their best interests. 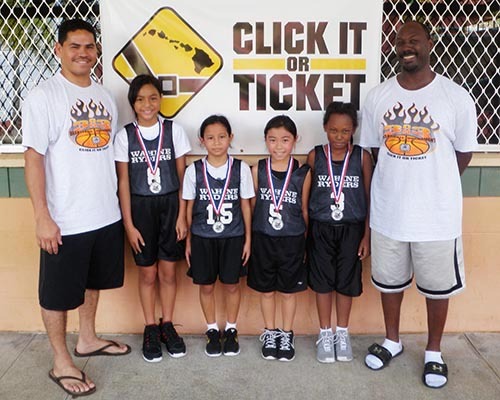 HI-PAL also would like to thank the Hawaiʻi County Parks and Recreation Department along with the organizers of the organizers of the 1st Annual Kaʻū Family Fun Day for their invitation to participate in this community event via a 3-on-3 “Click It or Ticket” basketball tournament.